Are you aware of Pinterest’s marketing superpowers? I sometimes get the feeling that far too many marketers fail to see the awesome options they get from Pinterest for their marketing strategy. And while Pinterest’s smart feed sometimes seems to make marketing success a little unpredictable, there are far too many awesome success stories for Pinterest Marketing to ignore it. And you know what I like best about Pinterest marketing stories? They all tell a different story! They range from blog promotion and social media marketing to content marketing. You can totally find your own personal marketing plan and still be very successful on Pinterest! 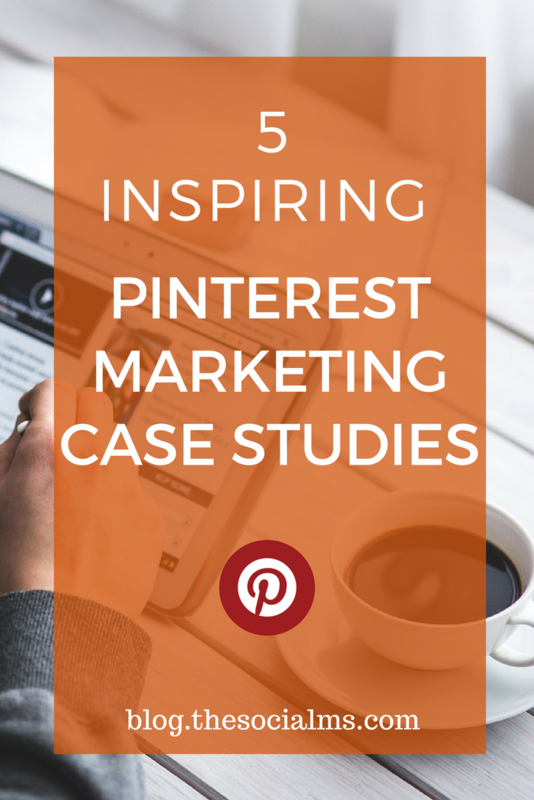 Here are 5 inspiring Pinterest marketing success stories to give you an idea of what is possible with marketing on Pinterest! Would you expect that Pinterest is one of the major traffic sources for BuzzFeed? I didn’t. I expected BuzzFeed to be huge on Facebook, I also knew BuzzFeed had a large Twitter account – but Pinterest? But Pinterest is one of the main forces behind BuzzFeed content going viral. And that is not only today, or some chance hit: They are driving consistent website traffic even for older posts. It all started with a DIY post in 2012. Since then BuzzFeed has seen impressing 2.5M views to that one post. With now multiple posts in multiple topics and interests on Pinterest, can you even imagine how much traffic BuzzFeed is driving from their Pinterest marketing activities? In 2014, two years after that first impressing pin, Pinterest is already the second largest social traffic source for Buzzfeed’s social media strategy. Apart from the typical topics for Pinterest like crafts, home decor, food, complicated nail art, BuzzFeed also found funny posts extremely successful. In fact, so much so, that 30% of the traffic from Pinterest is to humor stories. Now you may say BuzzFeed is not exactly the example you can learn from. You may just be a blogger or a small business trying to find a way to marketing success through social media. Then this case study is for you! Moorea Seal was like so many other people too: Facing depressing career options after the economic collapse in 2009, trying to make ends meet with a mix of blogging, graphic design, jewelry making, music playing – and even playing the nanny. But she turned Pinterest into her personal success story and earned a huge following with posting beautiful and interesting content to various topical boards. And she found partners, working with Gap, Madewell, ad P&G. Pinterest gave her the power to grow fast, to get the boost she needed. Today, she is running her own online shop with huge success! Okay, I will be honest with you: Moorea Seal is an example from the past. Pinterest changed a lot since 2009. And since Pinterest introduced the smart feed, it is a little harder to gain the kind of following that Moores Seal has with a standard marketing campaign. But the smart feed also assures, that even accounts with little followers can see huge amounts of traffic from Pinterest! If you know us, you probably know that we are not so much into social media advertising. We always think that there should be a way to social media marketing success that is open to everyone and not only the ones with the biggest pockets. But truth be said, on Pinterest, it is worth to know about the option to advertise. An advertising campaign can help you grow your traffic faster, or promote pins that you want to get some extra attention. And with Pinterest advertising, the exposure is not done when your campaign ends, because a pin that is out there has the power to earn traffic for ages even if the paid promotion is long over. That is what Pura Vida experienced when they started promoted pins. Pura Vida is a company that sells bracelets that are made by artists in Costa Rica. The idea started on a 5-week trip but turned into a business soon after. Instead of opting for traffic, Pura Vida paid for engagement. Because they found out that someone who was willing to engage and repinned a pin is much more likely to buy. And the concept paid off. Because a pin that gets many repins is very likely to gain attention later on – plus a lot of people obviously saved a pin for later.This resulted in 31% increase in orders AFTER the campaign ended. This resulted in 31% increase in orders AFTER the campaign ended. You think startup marketing success needs a ton of money? Think again. Artifact Uprising was a small startup selling photobooks and operating from a basement in Denver. And then Pinterest magic happened: One of their pins took off – or did what many Pinners call “go viral” or “pop.” Within one week this one pin produced over 48 thousand clicks from Pinterest. All natural organic traffic, not a penny spent. 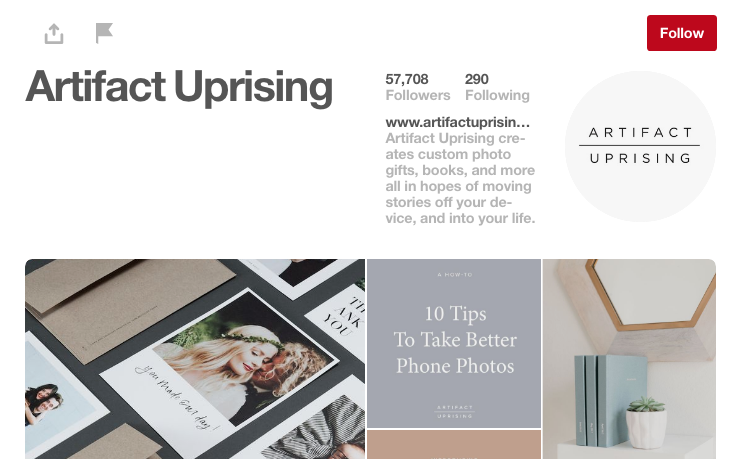 This early Pinterest success helped Artifact Uprising grow their company to multiple millons in revenues in just 19 months. Melyssa has the success that many bloggers dream off. She had been blogging for some time, trying her luck at online marketing when she finally figured out how to turn Pinterest into a traffic superpower. She is the typical example of a blogger getting ONE traffic source right and turning a dream into a business. Today she teaches classes about Pinterest, online courses and blogging. And there are many more like her – although the success of Melyssa is outstanding even in the blogger community. Pinterest has been the key to many blogging success stories – but many marketers seem to not take it overly seriously. Melyssa shares a ton of useful tips on getting traffic from Pinterest. And she runs an awesome responsive and personal blog. This may well be one of the secrets behind her Pinterest success: Behind all the great information and images clearly is a person: Melyssa. There are some basics for Pinterest marketing that you should absolutely get right to get on the track to success. But from there you can choose your own path. Follow some inspiration, ignore what does not agree with you but be consistent and persistent – and Pinterest success is all out there for you to grab! Pinterest may not be the most famous between the social media platforms used in marketing strategies. It sometimes surprises me how many marketers do NOT have Pinterest in their marketing mix. But that presents a huge opportunity for smaller businesses and new social media campaigns. There is still some room for more people leveraging Pinterest’s superpower as part of their marketing tactics when Facebook and Twitter are already crowded. And just in case you are wondering if your target audience is on Pinterest: It probably is. Do you want to learn how to grow your blog with Pinterest? Here is how we doubled our traffic from Pinterest in a matter of weeks. 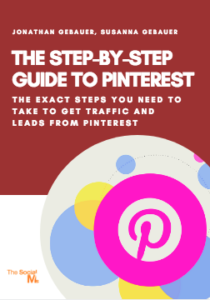 Yes, everybody can get traffic from Pinterest. You just have to know which steps to take, what pins to pin to which boards, how to use SEO, how to find an audience without followers, how often you should pin and a lot more!